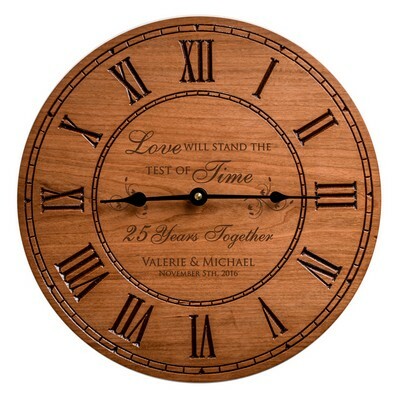 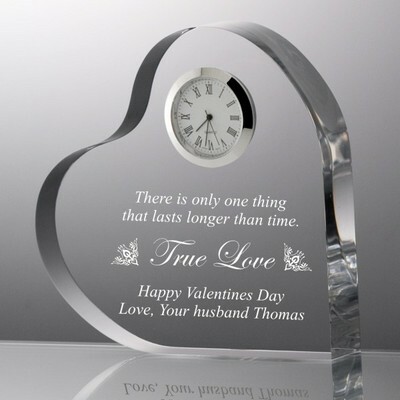 Select a genuinely impressive present for the person you love with our sophisticated valentine anniversary clock. 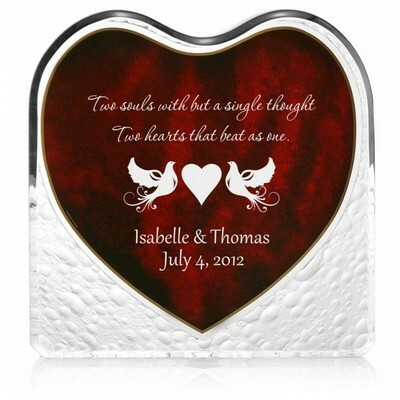 Unique in every aspect, this choice features exquisitely detailed, finely etched block of hearts with wedding bands intertwined below an inlaid silver rimmed quartz clock. 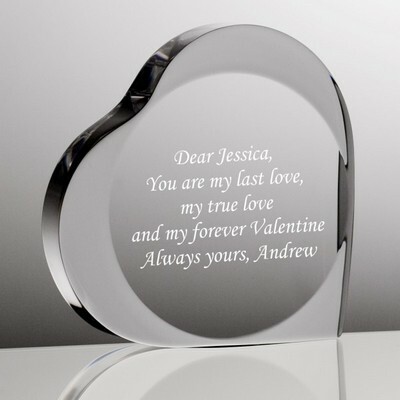 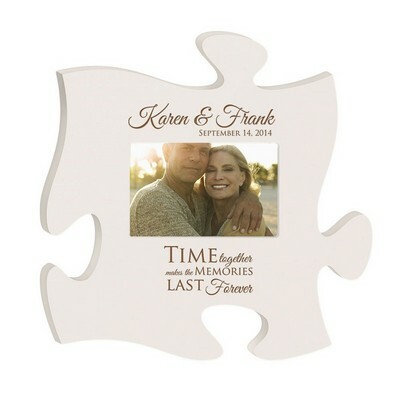 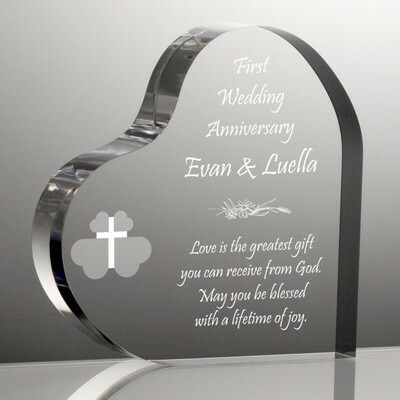 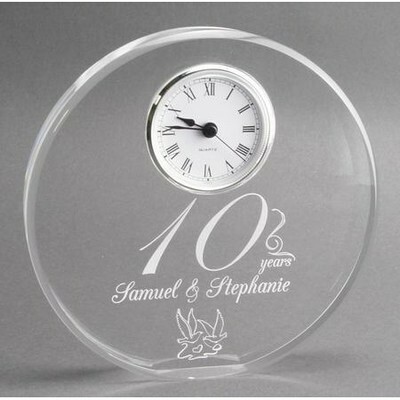 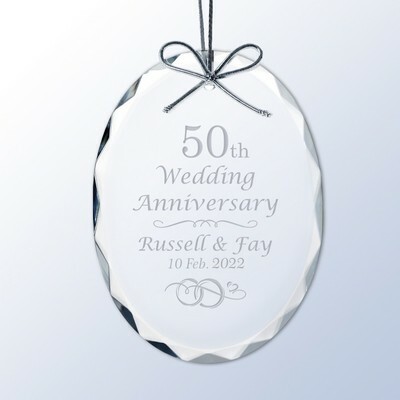 Elegant rectangular shaped design is 5" x 4" and made of solid clear acrylic, perfect for the finely etched text reading "Thank you for the joys of today; the memories of yesterday, the hopes of tomorrow, and the love of a lifetime, "Happy Anniversary". 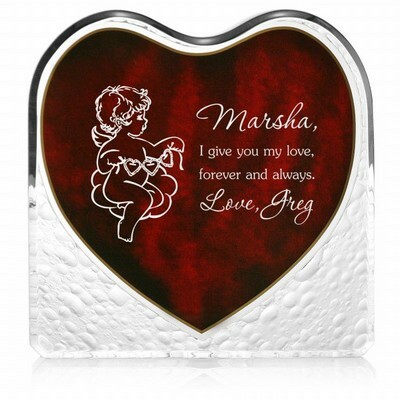 Add personalization for added distinction by including recipient's name on top and 2 lines of personalization on bottom to create an everlasting memory. Comments: I found a great anniversary gift and can not be happier with the gift and the service. 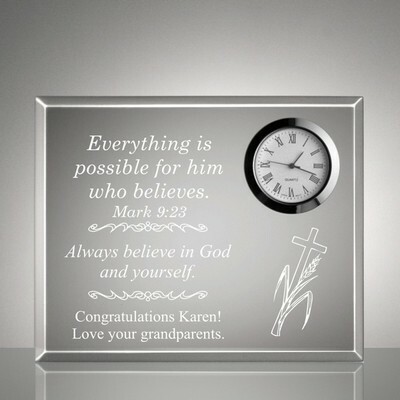 I was hoping to get it early in the mail and thanks to memorablegifts.com I got it within a week. 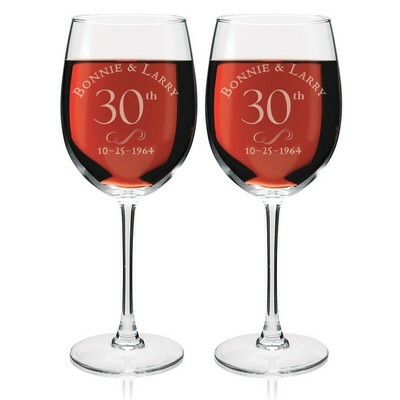 I'll definitely shop here again!